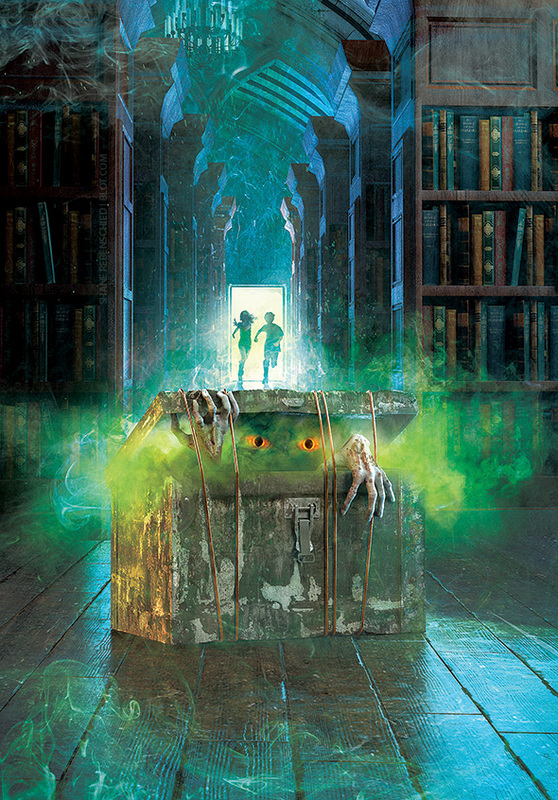 Book jacket illustration for Curse of the Boggin (The Library Book 1) by D.J. MacHale, published by Random House and art directed by Nicole de las Heras. Read more about this book on Goodreads | Amazon.